Over the last 15 years, software as a service (SaaS) has become the dominant model for distributing and consuming software. This is a huge opportunity for the business landscape, including SaaS startups. Before Salesforce became the leader in enterprise SaaS, the company was a startup focused on many nontraditional business strategies. 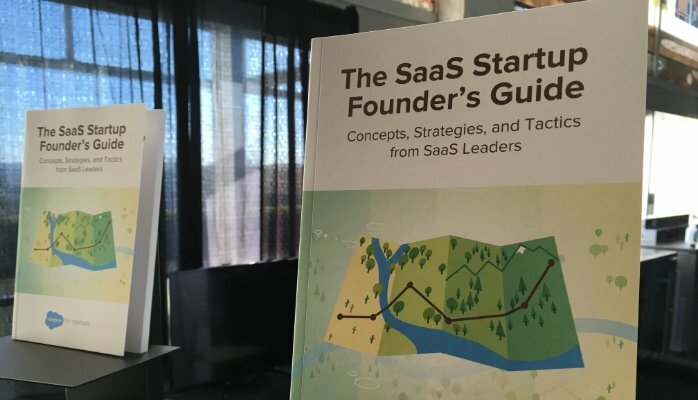 These outside-the-box (and into the cloud) strategies are now shared in the brand new guide, The SaaS Startup Founder’s Guide. The book is authored by forward-thinking industry luminaries including Elay Cohen and Jason Lemkin. While you’re en route to grabbing your copy of the book, here’s a look at some of the core concepts ‑ and the apps that can help make it possible ‑ for your startup. 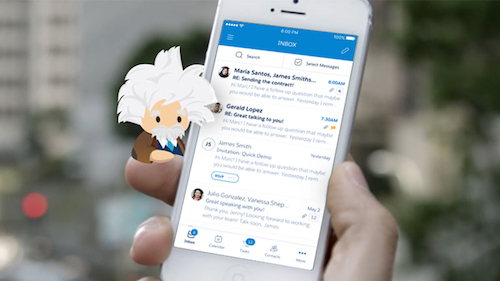 “[Salesforce] understood that our investment in the success of our customers had a direct impact on our renewals number. This was not an expense for the company, it was a cost of sale,” states Michael Kreaden in the book. There is an important shift as a result of this realization. The shift takes annual contract value (ACV) as a key metric of sales success, to total lifetime value (TLV). “This allowed us to unlock second-order revenues from our customer base and helped to dramatically reduce churn,” says Kreaden. Solutions such as FinancialForce Accounting help you manage revenue to gain visibility into the numbers that matter. Whether your metrics are ACV, TLV or renewals, you’ll get 100% real-time financial reporting and analytics so you can review the numbers and make crucial financial decisions. You’ll be more efficient and in control of growing your top and bottom line. As Melinda Gonzalez shares in the book, “The long game is not just about bringing in new customers. 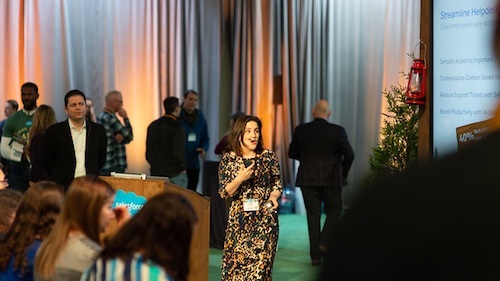 It’s about keeping the customers you already have.” Since the early years at Salesforce, customer success was the number one value. Today, it’s now relevant and applicable to every SaaS business. “Embedding the importance of customer experience into the DNA of your company is the best way to ensure you continue to deliver products and services that delight your customers and keep them coming back,” shares Gonzalez. “As a business matures…the need for operational repeatability and scale quickly become the priority, creating a need to evolve the definition of customer success,” advises Gonzalez. “…The goal is to pick informative metrics that are aligned with your stage of maturity. For an early startup, with a budding customer base, my typical recommendation is twofold…First, focus on product adoption. My second recommendation is to define a framework for assessing overall customer health,” says Gonzalez. Solutions such as Apttus CPQ keep your entire customer journey on track, enabling your startup to successfully complete the quote to cash process. Quickly find the right products and options for your customers, and easily incorporate upsell and cross-sell opportunities into your deals. Manage pricing and discounts to keep reps on track, then deliver 100% accurate quotes that seal the deal with customers. “One of the most difficult things about joining a startup as a sales team member is the lack of sales enablement tools,” shares Greg Poirier in the book. Ensure your sales team has the tools they need to effectively execute. At the same time, there are a wide variety of tools and options when it comes to sales enablement, so focus on the core success tools. “Tools like first-call decks and case studies are even more important…because the sales team needs them to appear more credible,” says Poirier. Here are five tools Poirier recommends to assist with sales enablement and sales and marketing alignment. For the latter, find a solution that works within your CRM system, or in a product that is integrated with your CRM system, such as Conga Composer in Salesforce. “Word docs, Excel spreadsheets, and other ad hoc methods of sending quotes to customers are for amateurs. The client is immediately going to recognize how they were made and it isn’t going to reflect positively on your organization,” shares Poirier. Conga Composer creates a templated approach to quote generation, which eliminates errors and costly mistakes, while ensuring consistent output every time. Conga Composer also ensures that legal and scope details are included in each document, every time. Increase productivity, save money and easily scale to produce thousands of documents per day without increasing staff resources. It’s great to see startups aggressively pursuing a marketing strategy to generate leads, however, the quantity of leads are an important factor in this marketing plan. We all understand the negative impact of too few leads, but too many leads without a clear process or automation strategy can have negative results as well, such as lost opportunities and overworked salespeople. Automated lead routing ensures that inbound leads are moving to reps in a timely fashion, improving your time to contact. Solutions such as NC2 Distribution Engine ensure that the right leads move to the right salespeople, right away. Working hours, territories, skillsets and seniority all come into play. Fairness is also important, who had the last lead, who should get the next. "Achieving a transparent and fair lead allocation process is critical to the motivation and success of your sales team” shares Greg Poirier. The SaaS startup journey is an exciting one, and these tips will help you on your path to success and massive growth. However, this is only a small taste of the concepts, strategies, tactics and guidance from SaaS leaders. 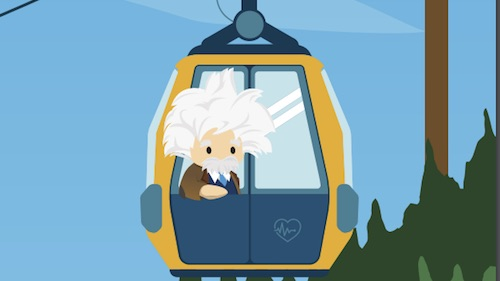 Grab your copy of the book today, join the Salesforce for Startups program, and check out more apps for startups on the AppExchange.